The 2015 Moto X Pure is one of the finest Android phones available right now with a clean, up-to-date build of Android and great hardware. It's a competitively priced phone, but B&H is making it even more so today. Starting now, the Moto X Pure with 64GB of storage is available on B&H for $399, and you even get a bundle of mobile photography gear valued at $59.99. This is a solid deal with a $100 discount on the usual $499 price for that version of the phone. 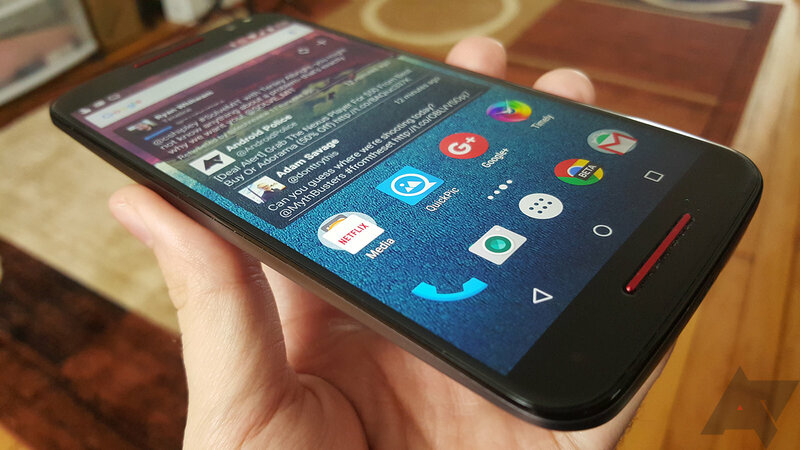 That's basically what you'd pay for a paltry 16GB of storage in the Moto X Pure. It does have a microSD card slot, but it's not the same. The drawback, of course, is that you can't customize the phone via Moto Maker. You'll have to get the black, white, or white/bamboo variant. Note, the bamboo phone is $25 more expensive, but it has the same total price of $399.99 (a $125 discount). The photography bundle includes a 32GB microSD card, phone tripod, photo light, and more. This is one of B&H's "deal zone" promos, so this price is valid only for today (it started at midnight EST). Additionally, supplies may not last. Don't sit on this one too long. It looks like the deal now comes with a $25 B&H gift card instead of the photo bundle.